Third edition to showcase over 100,000 pieces for every lifestyle, occasion and price range. Singapore, 14 July 2015 – Singapore Jewellery & Gem Fair will return for its third year as the largest fine jewellery event in the region. From 22nd to 25th October at the Sands Expo and Convention Centre, visitors will find themselves stepping into an extraordinary world of glitter and glamour featuring more than 100,000 pieces of fine jewellery and gems covering an extensive price range from hundreds to millions of dollars. Exclusively endorsed by the Singapore Jewellers Association and the Diamond Exchange of Singapore, the fair presents buyers with unique opportunities to acquire desirable jewels directly from reputable jewellery manufacturers and wholesalers from around the world. According to Forbes magazine, Singapore is regarded as the third wealthiest nation in the world based on Gross Domestic Product (GDP) at purchasing power parity per capita. Singapore has 105,000 high-net-worth individuals (HNWIs) and is poised to record the world’s highest growth of ultra-high-net-worth individuals (UHNWIs) in the next decade. In 2014, Singapore’s jewellery market was worth approximately US$3.5 billion. According to the Antwerp World Diamond Centre in Belgium, approximately 184,000 carats of polished diamonds valued at US$315 million were exported from Antwerp to Singapore in the last six years, and the Singapore jewellery market is expected to grow even further in the next few years. 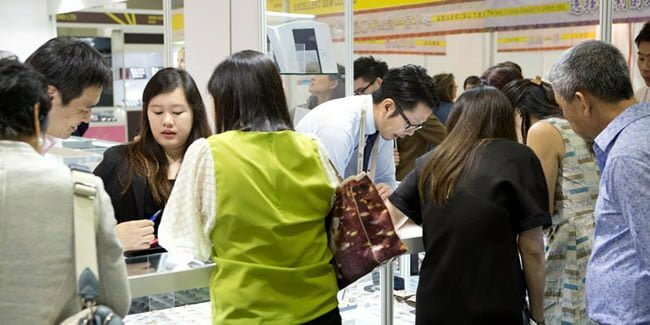 The last edition of the Singapore Jewellery & Gem Fair attracted 161 international exhibitors from 21 countries and a total of 9,615 visitors – a ten percent increase over its inaugural 2013 edition’s visitorship. The fair also concluded with 89 percent of visitors expressing their satisfaction with the quality of exhibitors and 80 percent of visitors sharing their interest to visit the fair again. 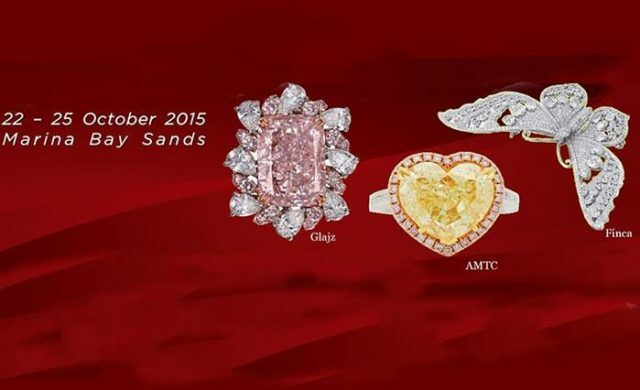 Exclusively endorsed by the Singapore Jewellers Association and the Diamond Exchange of Singapore, Singapore Jewellery & Gem Fair is the largest fine jewellery event in Singapore and the region, and will see more than 200 exhibitors from 28 countries in October 2015, targeting the region’s fastest growing high-net-worth population. The event is organised by UBM Exhibition Singapore Pte Ltd, a member of UBM Asia, organiser of the most professional international jewellery fairs globally including the world’s number one fine jewellery event, the September Hong Kong Jewellery & Gem Fair.